Original image for the Deck the Halls call out. Deck the Halls started life as a bit of Christmas fun in December 2010 after I’d been to my son’s carols night at school. I thought the lyrics of Deck the Halls opened up a wealth of possible stories (and I’d been mulling on ways to combine writing, collaborative work and music for about three years without any success). Originally it was meant to be nine other writers working with me, then it blew out to 19, writing non-traditional, non-Christian stories. At the time I told them, the more twisted the better. Everyone had so much fun and the original site got an amazing amount of traffic over the Christmas period, that I said I might do a Valentines collection. Everyone assumed that meant I would do a Valentines anthology and suddenly without willing it into existence Literary Mix Tapes was born as an imprint with traction, momentum and a growing group of writers all wanting to be part of it. Originally my side project, LMT became an official part of eMergent Publishing in August last year and now boasts more than 70 writers attached to it as a project spanning four anthologies. Deck the Halls would never have happened, indeed Literary Mix Tapes would never have happened without the foresight and energy of those original 19 authors, throwing a story behind my mad idea. So in August last year, on the back of the success of Nothing But Flowers and Eighty Nine (and the almost spawned Tiny Dancer) I wanted to honour the work of those authors by putting their stories into paper back. I decided to reissue Deck the Halls as a professionally edited paperback, expanded to 32, with new stories to compliment the old. I also set out with the support and enthusiasm of an associate editor. Around the same time I met Andrew McKiernan on Twitter and sent him a copy of the original stories and what I proposed to do, and he offered to do the front cover image for the anthology. 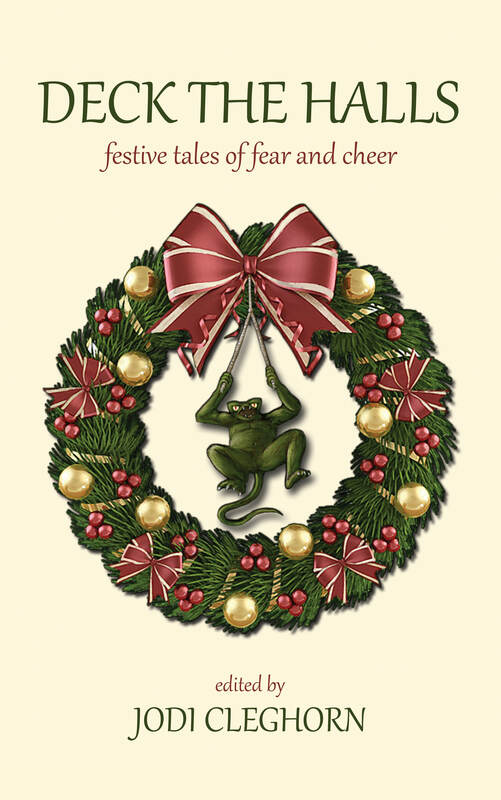 Deck the Halls: festive tales of fear and cheer is is a bit of the old and a bit of the new, and a bit of everything else I’ve picked up since I first started doing LMT projects. It is also a triumph over last year’s depression: to know I can make good on promises, I can rely on people to be patient and supportive and I can make it to the end through creative problem solving and sheer tenacity, even when there feels like there’s no end in sight (or a million stupid details are going to stop it going ahead when the end is tantalising in slight). and finally my Mr Ds, the not-so-little-anymore dude who keeps me childlike in the best possible way (and who is an aspiring author in his own right) and the slightly-bigger-one-of-the-two who loves me just the way I am and continues to be a patron-of-the- arts, bankrolling eMergent Publishing’s endeavours. Help me to sever the strings to my millstone by buying a copy of the book today to enjoy now during Christmas in July celebrations or horde it away for later in the year. I promise you won’t be disappointed. If you prefer to try before you buy there are 24 stories for free for twenty four hours on Literary Mix Tapes website. They’ll be there for the next 48 hours.